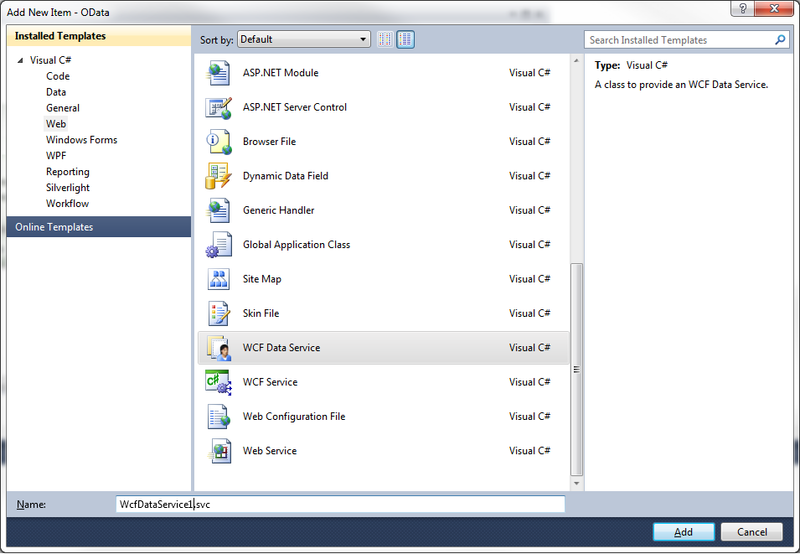 WCF Data Services is Microsoft’s framework for exposing a data model using a rich RESTful OData API. 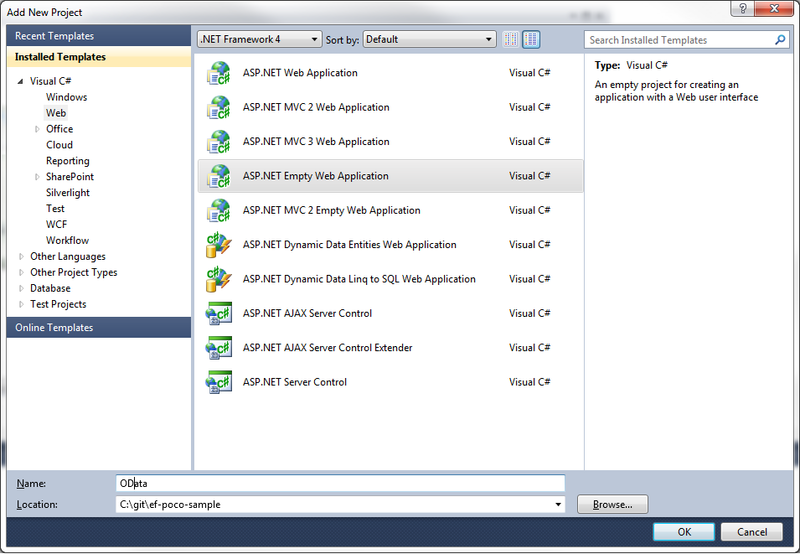 It integrates seamlessly with Microsoft’s Entity Framework. Increased testability of Entity classes. Decreased dependency on the Entity Framework. Testability is a must-have feature when working on large enterprise applications. It’s important ensure the application is working as expected as changes are made, especially when using an iterative sofware process with frequent releases. Tests are the best way to verify an application is working as expected. Access to dependencies such as an external library, Database or web service should be minimized to safe guard against future changes. A system which has high coupling with an external dependency is more likely to have a change in one tier cause changes in other tiers of code. This creates a brittle system. 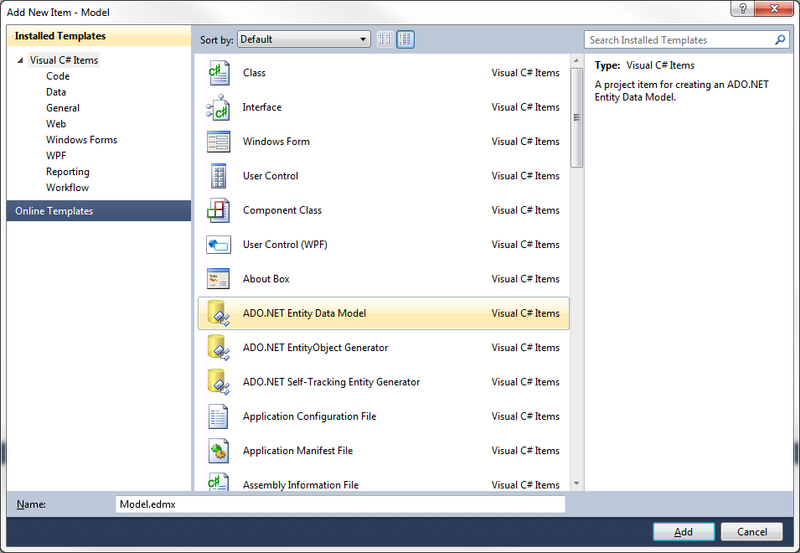 Entity Framework POCO’s are a step in the right direction to build a robust system! 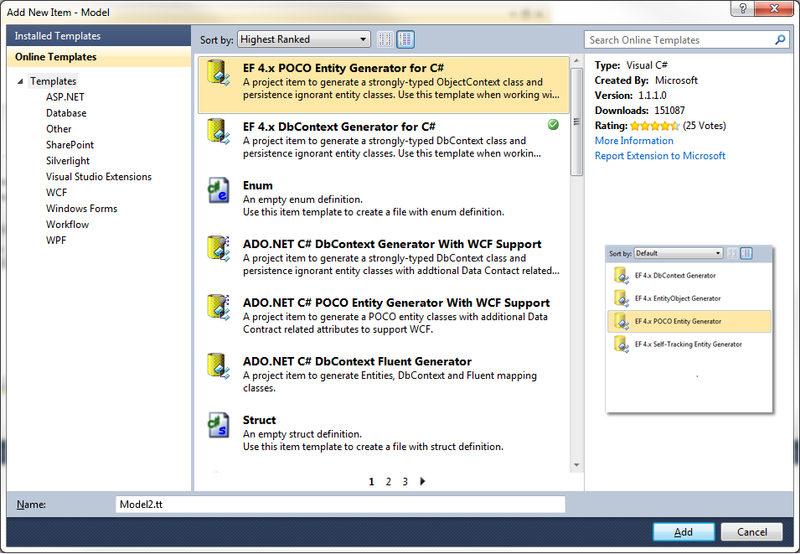 Below are the steps to creating Entity Framework POCO’s and exposing them with WCF Data Services. 1. 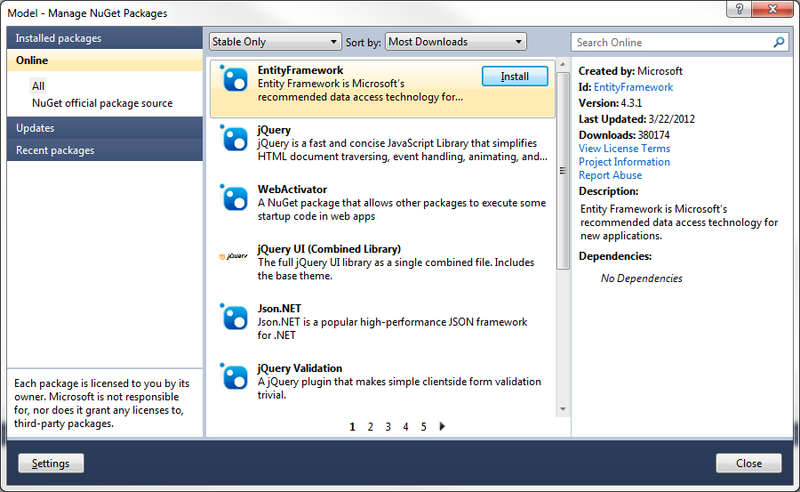 Install Entity Framework 4.3.1 NuGet Package. 3. Add tables to Model.edmx. 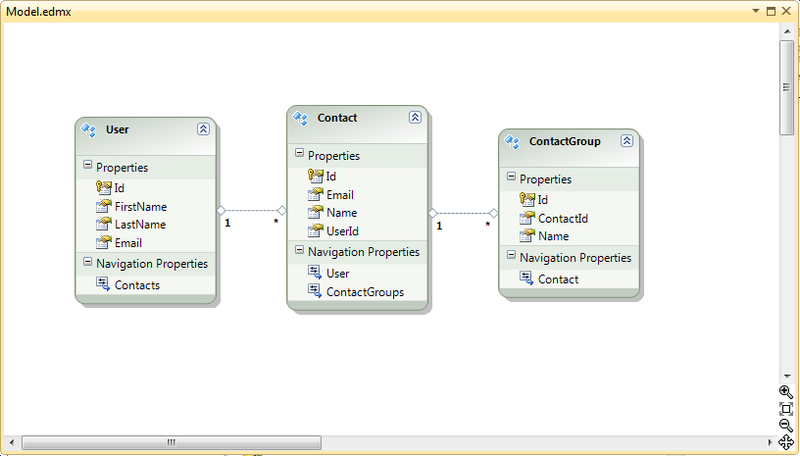 In this example I use the User, Contact and ContactGroup tables from before. You need to override the CreateDataSource method. 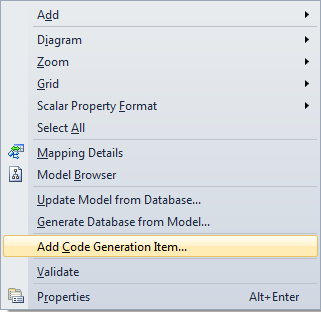 This entry was posted in Architecture and tagged Domain Driven Design, Entity Framework. Bookmark the permalink.